Customers can contact you for an appointment using our OneClick feature for Direct Call, WhatsApp Enquiry and Email. 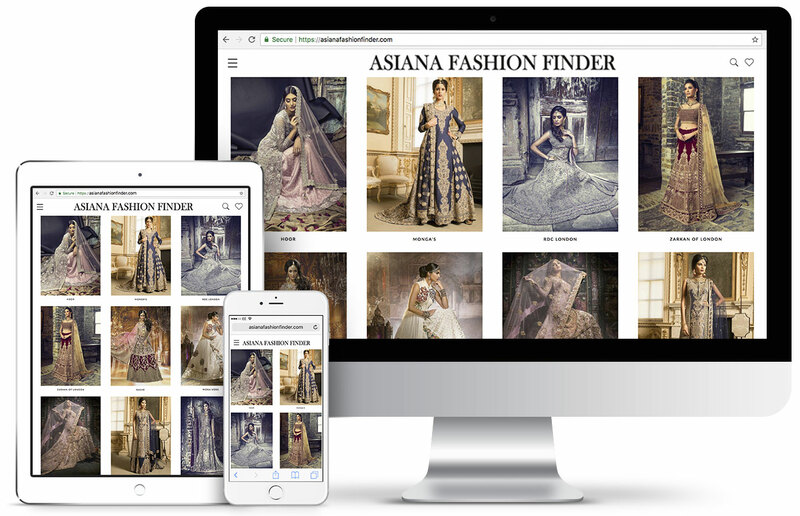 Available on Desktop, Tablet and Mobile, Asiana Fashion Finder is the smartest way to showcase your products, book appointments and make the sale. You can supply your own images (with up to 3 images per product, such as front, back and close-up view) along with product information. If you don’t have product photos, Asiana’s Fashion Team can shoot your new collections as they arrive – and create a Promo Video at the same time (charges apply). We can also promote your new range with our Online Fashion Campaigns – targeted directly to our Bridal and Fashion Consumer Audience via Facebook, Instagram, Google and YouTube. 12 Months. Up to 100 products.